If you are interested in getting the best RC drone on the market today you should strongly consider the idea of checking out the difference between the self-built quadcopter or picking out a drone that is ready to fly out of the box. In this article we will detail some of the pros and cons of buying your own drone or building your own drone as well as some of the top kids and the top products that you could consider for getting the best drone for your needs. When it comes down to the idea of buying a drone or building a drone, you need to consider your objectives. Any type of flying drone is going to have functions which can help you accomplish several different goals. While many of the top drone models can accomplish a series of goals like taking great photos, videos or maneuvering with the greatest of ease in plenty of spaces, sometimes you may need to build your own versatile drone to accomplish a purpose specific tasks. A ready to fly model will often be balanced and tested and some of the top out-of-the-box drones are ready to fly as soon as you unpack them. Taking the time to balance a drone for consistent flight and making sure that it is ready to fly in all types of conditions can really take time. Drones which are designed for beginners also come with preprogrammed features that can make them easier to fly and easier to land. If you have a great technical knowledge or you want to have an in-depth technical knowledge of your drone, building one can be a fantastic way to always know how to fix up a drone. Many out of the box drones can also come with replacement parts bite tilling a drone gives you a true understanding of the device. With a laundry list of reasons to consider buying an RC drone or building one by yourself, we have to break down the main pros and cons of building your own drone versus buying your own drone so that it is possible to finally compare the big differences. It can be an educational process: building your own drawing can be an excellent way to you can learn the inner workings of how to fly and repair your drone. You'll never have to feel stuck trying to figure out how to repair an issue or source a replacement part if you did all the work to build it. Can fit custom needs: By building your own drone you could make a camera drone that's extremely maneuverable, include the chance to take still photographs from a full DSLR camera or build a drone that flys considerably faster than any other consumer drone available. Can be a fun building project: The challenge of sourcing materials, learning how to program the remote and other features as well as how to build and fly the drone can be a lot of fun and extend the enjoyment you can get out of the drone. It is much cheaper: Sourcing all of your own parts means you get the final say on the materials. Many of the materials used in drone construction can be purchased or even scavenged from other sources. Working to find inexpensive parts or even recycling drone parts is an excellent way that you can get a great drone for a price that is considerably cheaper than you may pay for a full commercial or consumer drone. It can be easy if you have the skills: putting together a drone is fairly simple if you have some knowledge of electronics and construction. There are plenty of tutorials available online to guide you through the process and you can even pick up some basic kits that will take you through the build process using some of their base materials. More achievement: Knowing that you were available from start to finish to program the drone, build it and then fly it can create an overwhelming sense of achievement. It takes time to build and balance: Rather than going down to a local electronics store and picking up a drone to fly immediately, building your own drone can take months until it flies successfully. Even after you have built the drone, it can take time to balance out the motors, the controls and the weight across the drone to make sure that it can fly. May not fly well immediately: Most drones that individuals have made will often be difficult to learn how to fly immediately. Because there are no instructions it can take constant tinkering with the weight balance, changing out batteries and with the propellers until the drone can feel easy to control. Many of the top drone companies have pilots and testers that ensure this process can be managed easily. Not as pleasing design wise as many out of the box drones: In many cases drones which are built from scratch to have all of the refined and manufactured pieces that you might find in some of the more expensive drones. It won’t have a pleasing body shape or a machined gimbal to hold the camera in place and this is something that can improve performance and aesthetics. They can fly right out of the box: There is no need for an extensive build, for sourcing all of the parts or for managing wires/testing flight. The drone will be ready to function after unboxing. They come with instructions: You may have to do a lot of research even get your drone off the ground if you build it yourself. With a ready to fly drone, you can have instructions out-of-the-box that can help you learn how to fly and master it easily. They are designed and tested: professional testers and designers will create a drone that's aesthetically pleasing and ready to fly for the user. The design and testing phase of a drone that's built from scratch can be extensive. They can be purpose built: In many cases when individuals have to buy and refine drones, they start with creating a drone that can fly and then begin adding on cameras and other features. A drone that is built by a company will have all of the features in purpose built attachments it needs out of the box. 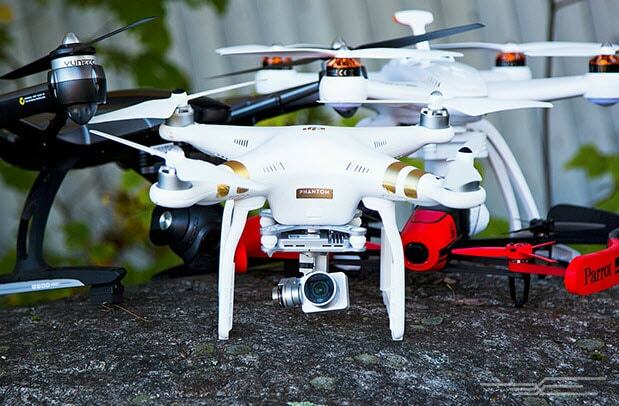 Limited customization: Drones which are prebuilt generally only have I series of functions. This means you may not be able to modify drone to carry a larger camera or to fly at a faster speed. Difficult repairs: many drone manufacturers offer replacement parts but in a lot of cases the drones are designed to be somewhat disposable. 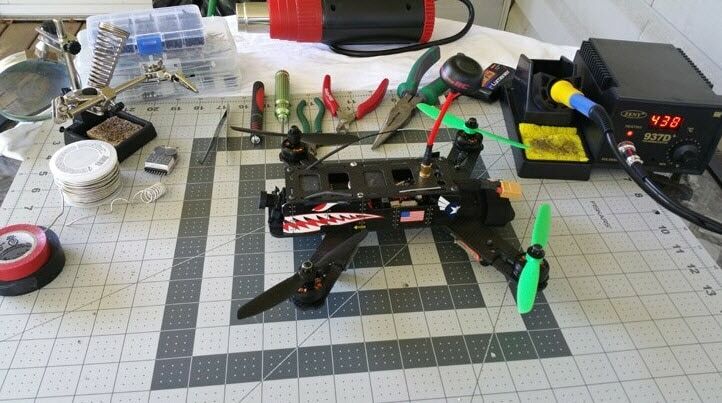 Pre made drones do have some literature included for repairs but a user that built their drone from scratch will always have an advantage when making repairs or sourcing replacement parts. Consider some of these top comparisons if you are thinking about building a drone versus buying a drone.